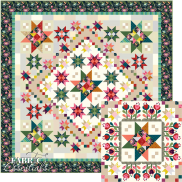 Color Love BOM Quilt - Rectangular or Square QUEEN SIZE! Programs - Most Include Backing! > Color Love BOM Quilt - Rectangular or Square QUEEN SIZE! 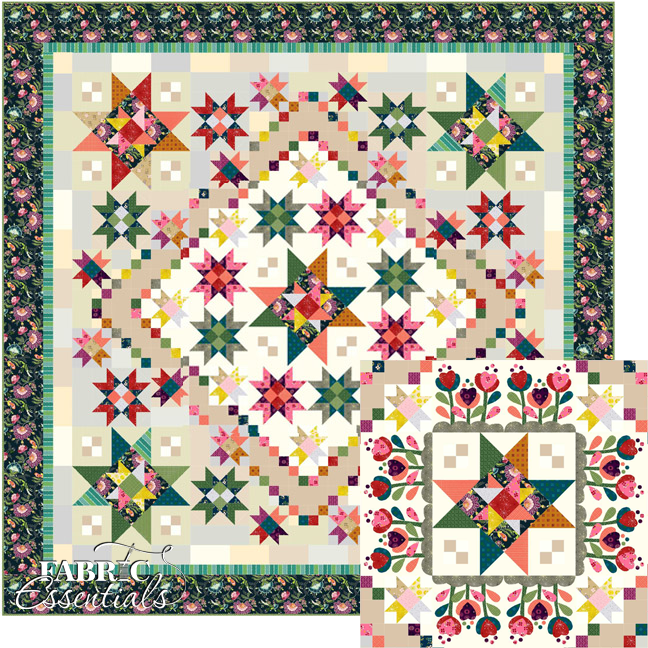 Color Love - Flexible Block-of-the-Month (BOM) Quilt - Three Sizes! Original Size: RECTANGULAR QUEEN - 87"x93" - AVAILABLE! 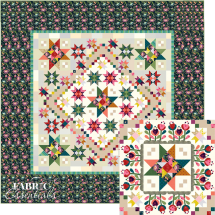 Fabric Essentials Exclusive: SUARE QUEEN - 101" x 101" - AVAILABLE! 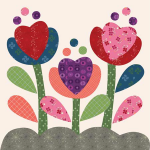 Fabric Essentials offers EXCLUSIVE larger sizes of Color Love! 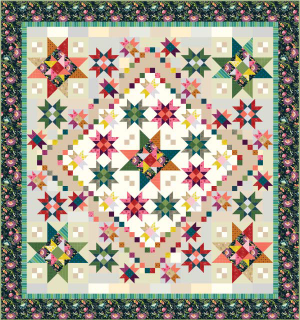 Your program includes fabric for either the pieced stars or needle turned applique. 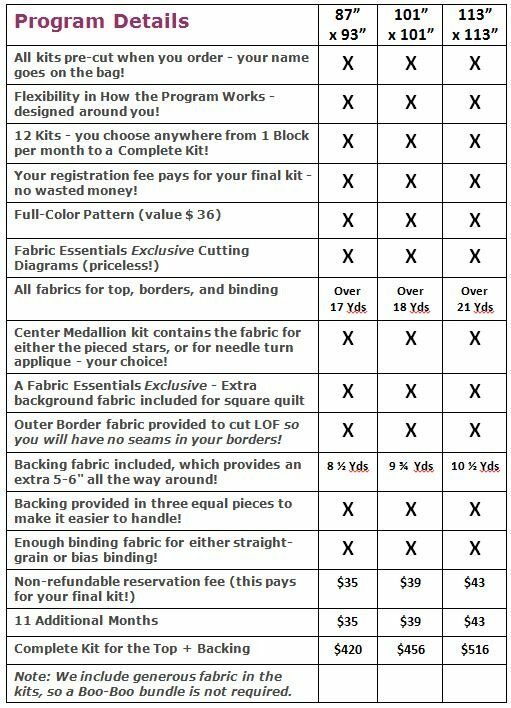 What are Fabric Essentials' Exclusive Cutting Diagrams? We create cutting diagrams for the fabric pieces in all kits. 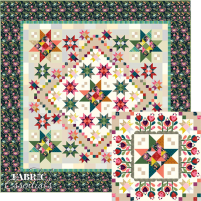 With these visual guides, you don't have to figure out how to lay out the pieces to fit on the fabric, greatly simplifying the cutting process! We have all experienced what can happen if you start cutting without first figuring out how all the pieces will fit - they may not! Oops! With our cutting diagrams you are less likely to make mistakes and your cutting time is drastically reduced. 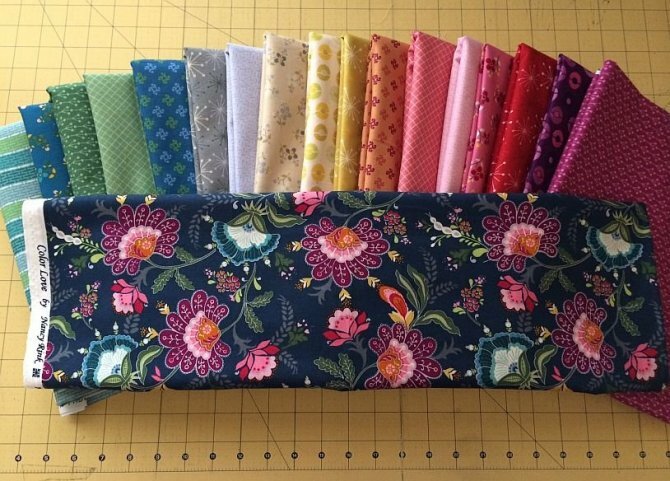 Click to see all remaining fabrics.